Celebrate this momentous occasion the right way - choose Legacy Limousine Service as your Vancouver graduation limousine service provider. 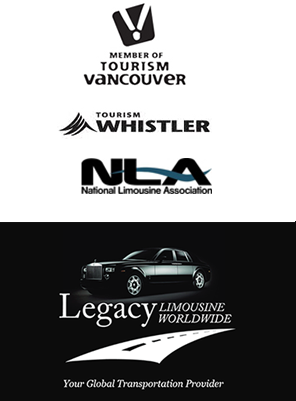 You've been working hard all these years to reach this moment in your life, so let Legacy Limousine Service ensure your Vancouver graduation limousine service will be all that you've imagined and envisioned on your special night! Graduation limousine service being an area of expertise for us, Legacy Limousine Service has provided countless Vancouver graduates with outstanding memories throughout the last 14 years of service. Parents can rest assured their loved ones are in good hands when traveling with Legacy Limousine Service! Our professional, experienced Vancouver limousine drivers will look after your loved ones with the same care and attention you would have on their graduation night. Your concerns are ours as well! For both Vancouver graduates and parents alike, we have assembled some important tips and requests to ensure that your graduation night runs as smoothly as possible. One of the most common mistakes made when deciding on a Vancouver graduation limousine service provider is basing your decision on price alone. Vancouver's limousine industry offers a wide spectrum of quality and price, and reduced pricing quickly translates into increased risk. Nevertheless, parents as well as up-and-coming graduates often shop for their Vancouver graduation limousine service using exactly this approach, often anticipating a 5-diamond experience, but ending up upset with and disheartened by their graduation limo service provider. This might occur as a result of old, dirty, or poorly maintained limousines arriving - or not arriving at all - to poor limousine service standards with rude, unhygienic limousine drivers - to being late, or for that matter, completely abandoned. At Legacy Limousine Service, we're confident this is NOT the kind of Vancouver graduation limousine service you're after, nor is it in the least acceptable! Every Vancouver limousine is required by law to carry commercial insurance and proper limousine permits. Unfortunately, the Yellow Pages and Internet do not demand the same to advertise. Certain limousine companies found on the Internet aren't even located in the Vancouver, Greater Vancouver or Vancouver Island area nor are they properly licensed. Other limousine companies contract their work out and have little, if any, control over the limousines or their chauffeurs! Concerned strictly with their bottom line, they typically find the cheapest available service provider while still charging you premium limousine service fees. Find out where the company is located and ask if you can take a look at the limousine you'll be using. To provide yourself with even further protection while securing your Vancouver graduation limousine service, ask your limousine service provider for proof of commercial insurance and proper limousine permits. Vancouver Graduation Limo Rates - How Much Is Too Little? In Vancouver, graduation limo services run in the neighbourhood of $80 - $120 per hour with a 4 to 8 consecutive hour minimum. This is as a result of the huge demand on limousines during grad season, and, with March through June being the busiest wedding months, the relative inflation of minimum hourly requirements and rates. Some Vancouver limousine service providers may offer what's called a "split" - a rental to-and-from your destination with no charge for waiting time in between. Nevertheless, minimum hourly requirements typically still apply. Should you be happy with your Vancouver graduation limousine service, the standard tip is 15% of the total fare. Should you feel your limo driver has performed beyond your expectations, please offer what you deem to be reasonable. Some Vancouver limousine service providers automatically include a gratuity, or tip, in their graduation limousine service quote. Be sure to ask if the limo driver's gratuity is included in the rate when placing your Vancouver graduation limousine service reservation. Your Vancouver Graduation Limousine - Doing It Right! Please note that a damage deposit, or the signature of a legal guardian, may be required at management's discretion. Have some unaddressed considerations regarding our Vancouver graduation limousine services? Looking for a Vancouver grad limo service quote? Ready to reserve your Legacy limousine?